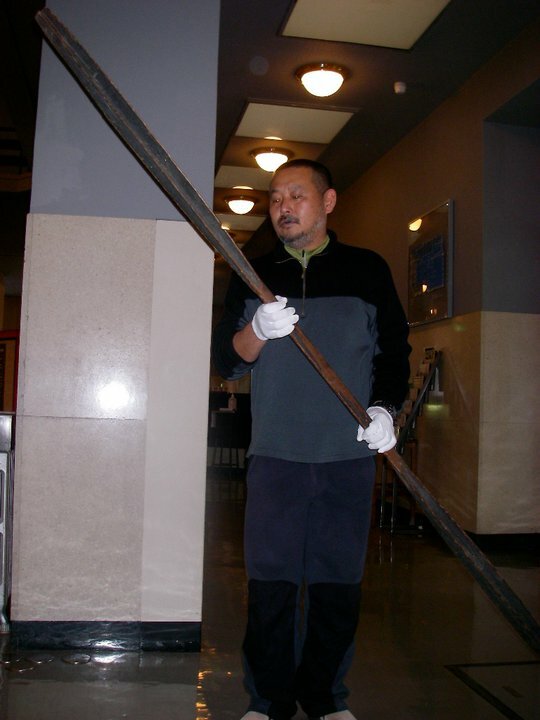 A while back, Suzawa Ikunori of Japan posted some pictures of several Unangan paddles in a Japanese Museum. Unlike most of the Unangan paddles I had seen before which have one face which is more or less flat and one face which has a ridge running down the center, these paddles had ridges running down both the front and back faces. 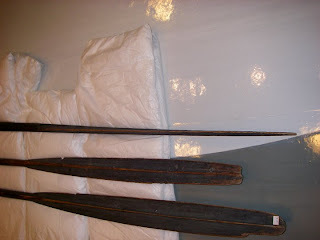 The paddle is quite long assuming the the loom is the usual length of about 22 to 24 inches. This photo shows three of these double ridged paddles. The middle one seems to have some damage to the tip. 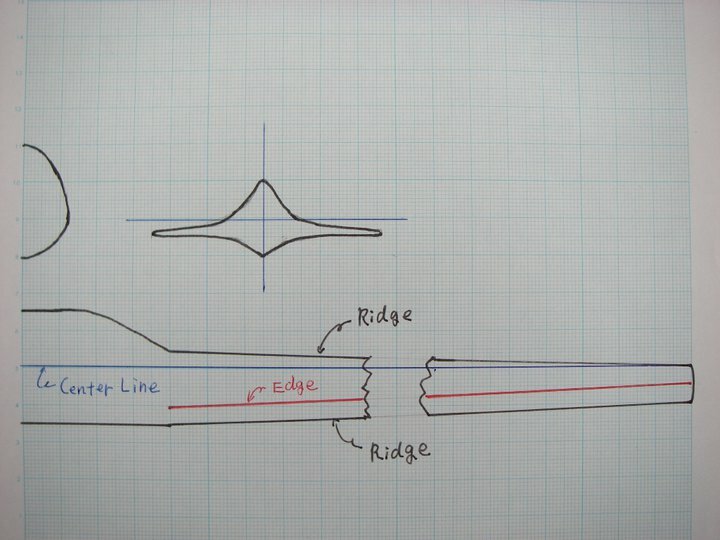 And this is a drawing of the paddle blade and the relative size of the ridges and the location of the blade edge. It appears that the layout of the blades is similar to that of the single ridge paddles except that the normally slightly convex side of the blade also has a ridge carved into it. I have taken one of my single ridged paddles which I found to be too stiff and heavy and have carved away at the flat face of it to create a low ridge on that face. Testing of this configuration is still pending. One thing that double ridged paddles might eliminate is arguments about which is the right way to hold them, ridge forward or ridge backward. But since the paddle is not symmetrical, there is still room for argument. 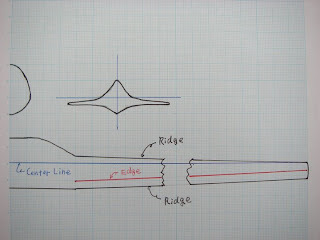 I hope to test my own version of the double ridged paddle soon and report on results. Why Build Your Own Kayak?